Some years back (ok, back in 2015) I managed to buy one of these devices. That device btw is a MK902IILE device using a RK3288 CPU. It has some sort of unknown or special version of ubuntu installed into it. I made back in 2015 about trying to get debian onto this device, but I have never had any luck in doing so. I've had this device for 4 years and still pretty much 0% success with it! Firstly though does anyone know exactly what this device truly is? I've read that there are several different vesions of the RK3288 based device. Wikipedia lists several, and mine is listed as "Rikomagik MK902II (Android), MK902II LE (GNU/Linux) (netbox)" in wikipedia. Yet that seems to be pretty much the sum total information about this device. It is *not* a "firefly" rk3288 though (I tried writing a firefly boot image to an sd, and it failed to boot - literally - blank screen). This page came closest to being able to do something. I can use the files from that page to make an SD card and while it boots, it dosen't get far. It just displays a different boot image - and then bootloops. While I remember this is a picture of the device in question. So I must admit 4 years on from when I bought this thing I'm still none the wiser. I did find a copy of the image installed onto the device at this website - the file you're looking for is about 3/4 way down that page called "fir...ware_V1.03.zip". But beyond what I have here I really can't find out any more. This is a "?" mk3288 device. Does anyone know anything more or maybe someone out there bought one of these back around 2015. Did anyone ever get debian to run or even install? Last edited by ljones0; 04-13-2019 at 05:36 PM. Vague memories here; the RK3288 IIRC is a quad core Arm (7?) cpu, probably 1.5Ghz +/-. It's a RasPi 1 competitor, in a nutshell. My advice is not to try farting about with installing Debian, but to suffer Ubuntu on it. Have you connected a mouse, keyboard, and hdmi mpnitor? What does it do? Post a log of the failure, or a screenshot. Installing some other distro isn't necessarily going to be a walk in the park, because I gather the memory may present itself strangely. A PC can take basically any memory sticks. You bang them in and boot up. It goes through the "What have we here?" stage, and the memory appears in blocks called pages at intervals through the address space. The PC then presents these to the software as one long block of numbers (which it isn't). To judge by what you posted, your setup is messier than that. I would be very cagey before departing from Ubuntu. RasPi 3, which outclasses it, is cheap. It's not worth your time. The strange thing is that although this thing has ubuntu on it it isn't even "really" ubuntu - it's some sort of version created for this device. I bought this device quite a while back and yes these days a pi3B+ would be a much better and easier bet. It is just this device is hanging around not doing very much. It'll work if I plug it into a keyboard mouse and screen but it isn't much use beyond that since it is so hard to change the software. Agreed on the Ubuntu. The RL3288 is definitely Arm 7, so 32 bit. We're all familiar with the '386,'486,'586 etc. of x86 machines and the later Arms definitely have bigger instruction sets and some at least are 64bit. All a waste of space on that. After a lot of playing around again with the scripts from this site and one of its images I managed to get a successful-ish boot! (I used "Xubuntu/Lubuntu 14.10"). Instead of using a large (32gb) and slower micro sd I used a smaller but quicker (8GB) micro sd. This seemed to have more luck. Not everything worked however - I could boot but on my device there are 4 usb ports (2 a side). Only the left-hand side worked. Also wifi wasn't detected. Ethernet, video and audio seemed to be ok however. But this was with an ancient version of ubuntu on an equally ancient kernel that someone has created. I am still no nearer understanding "what" this RK3288 device is. It certianly is not a firefly - any device written on a micro SD for that device will not boot at all on mine. I'm telling you. I had a tablet from the Far East with one. It's a 4 core Arm 7 (basically their lowest spec core you hear of). It's 32 bit; Mine came with a Mali 400 GPU, but this was a good few years back. The thing lasted a little over a year. They're not discrete CPU & GPU. They're IP Cores, basically building compiled blocks of some Asic. In there also will go the following IP cores: Some network card, wifi chip, bluetooth, & touch screen interface, and ram+Prom all spread over 1 or 2 chips as the design team takes the notion. The Memory space will be spread between system (writable only in a fit), Storage(=EEPROM) and ram (=what your cpu uses). Whatever system you run has to drive those specific parts. The touch screen interface is probably the most awkward one, closely followed by memory control. The manufacturer will cobble up their own drivers as necessary build an OS, and that's why I advised not changing it. In short, it's not the RK3288 you should be worried about. At least we know wehat that is. It's THE REST of it. That's probably going to be the problem - the slight differences in all the other chips. Though I've not changed what was already installed - I did manage to eventually boot an OS from a micro SD card. This device is more of a "mini-pc" design you can see a picture here. That saves you some headaches at least. Next, with a system up, do an lspci and lsusb. You can see what stuff you have. The chances are you have drivers and firmware for the stuff that doesn't work in the original system, but not in your Xubuntu setup. 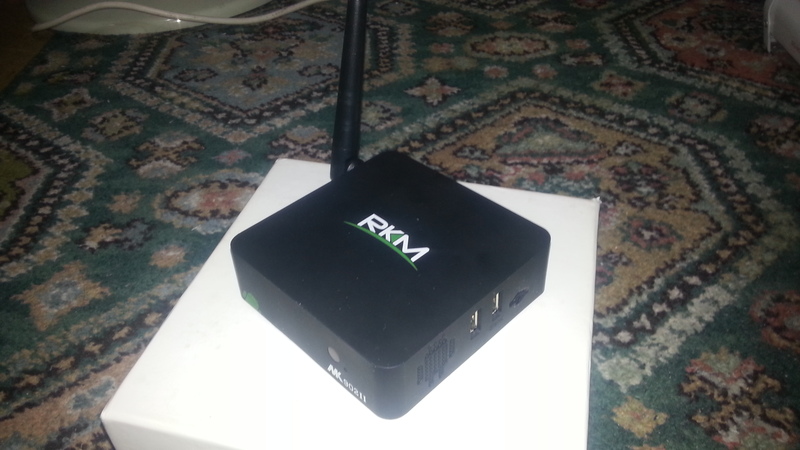 I had a RasPi 1 myself, but gave up on it out of disinterest. You could run lynx, or midori, but decent browsers were beyond it. Today's Arms are a much different animal, having made much progress, admittedly starting from a lower base. They were even caught by Spectre with their branch prediction efforts, which means they're trying seriously. Cutdown versions of Firefox and other browsers run on my smart phone & tablet. But they're Arm A53 cortex, and seriously rapid by Arm standards, and the wafer fab is tiny beside most Arm 7s. If €50 matters, stay with what you have. If that kind of money can be found, I'd look at the RasPi 3, or it's Far Eastern competitors. AliExpress has decent returns protection.